What Is Spinal Manipulation Therapy? Chiropractic care goes by many names, including spinal manipulation therapy, spinal adjustment, manipulative therapy and more. When put in simple terms, it’s a natural form of health care that looks to your spine to restore proper nerve function, helping your body heal itself. Why Is My Spine So Important? Your body is a self-healing organism that functions as a whole, not a set of isolated parts. Every cell, organ and tissue is connected to the nerves, which branch off from your spine. If your spine isn’t aligned, your nerves are affected, resulting in ill health. What’s the Difference Between Chiropractic and Physical Therapy? Physical therapy, also called physiotherapy, is often an avenue people seek out after they’ve had an injury. A physical therapist may recommend techniques like stretching and exercising. As a chiropractor, Dr. Pat uses specific chiropractic care to address not only the symptoms of pain you may have, but to correct the root cause of your problem. Stretches, exercise, nutritional therapy and additional products are also available to benefit your healing. After, Dr. Pat will briefly discuss his findings with you and discuss whether we feel X-rays are a necessary component of evaluating your health. 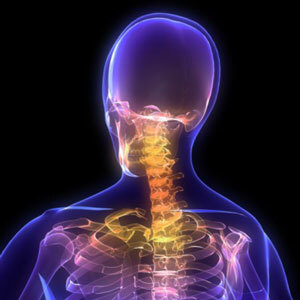 A chiropractic adjustment is designed to align your spine, allowing the nerves of your body to have proper flow. It’s precise and tailored to your particular needs. Dr. Pat has learned many different chiropractic adjustment techniques and will discuss what’s most appropriate for you before starting, so that you can feel completely comfortable proceeding. Chiropractic adjustments should not be painful. If you’ve had problems with pain for years, it’s possible an area of your body may be sensitive to touch. Dr. Pat will let you know exactly what you can expect before starting an adjustment, ensuring your comfort and confidence. On occasion, some people have experienced soreness after their first adjustment. This reaction is completely normal and no cause for concern. We want to help your body break out of its unhealthy patterns, and as it forms new ones, your muscles might feel similar to if you overworked them at the gym. You don’t want to put your health in anything but the best hands. As a Doctor of Chiropractic, Dr. Pat has undergone a rigorous education. His undergraduate degree in biology and chemistry was followed up by attending Northwestern Health Sciences University, where he received a doctorate degree. He completes yearly continuing education courses and has earned additional qualifications that include being a Certified Chiropractic Sports Practitioner® (CCSP®) and certifications in chiropractic radiology and nutrition. It’s important to Dr. Pat that he offer the people of our community the best natural health care, and he’s committed to constantly furthering his knowledge to benefit his patients. If you’d like to find out more, contact Hickman Chiropractic in Ashland today! We’d be happy to answer your questions or get you scheduled for a complimentary consultation.